Every night of Hanukkah, after Owen -- the Official Candle Lighter -- lights the menorah, Grandma Karen kicks off her cowboy boots and tells him a bedtime story. On the first night there's the inspiring story of a girl who dreams of becoming a rabbi. On the fourth night there's the amazing story of the alien who gets lost in a little girl's backyard. And on the seventh night there's the silly story about a boy who wants to be a baby...and whose parents let him! 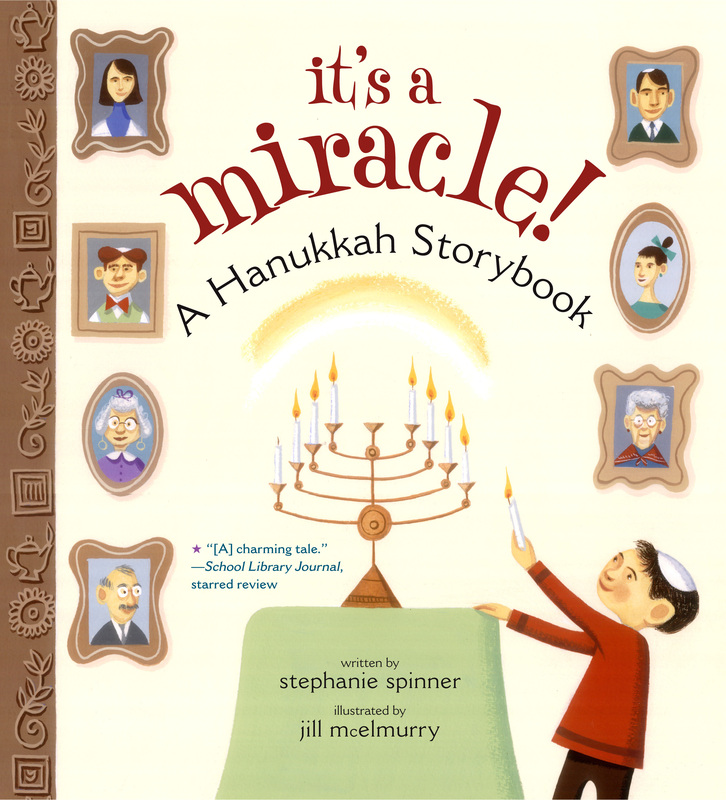 Join Owen in discovering how each of these stories is also a celebration of his own heritage in this heartwarming book about faith, family, and the miracle of Hanukkah. Stephanie Spinner is the author of Aliens for Breakfast (winner of the Texas Bluebonnet Award) and Aliens for Lunch, both with Jonathan Etra, Aliens for Dinner, and, most recently, Quiver, a novel for young adults. After a long career in children's book publishing, Ms. Spinner now writes, tends her garden, and reads with gusto. She lives in Manhattan and Pawling, New York. Book Cover Image (jpg): It's a Miracle!